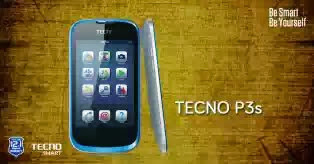 Tecno P3s - Android 4.2 JellyBean Features and Specs - The Tech Evangelist! Tecno P3s - Android 4.2 JellyBean Features and Specs - The Tech Evangelist! TECNO P3S has a sleek body and a removable, replaceable plastic display. The phone comes in three colors - White, Black.